A lot of companies operate within a narrow section of product lifecycles. How can manufacturers reach beyond the boundaries of their own operations to influence sustainability across product lifecycles from responsible raw materials extraction to consumer use and disposal? How can all actors understand the relationship between a product’s benefits and impacts? How can progress be measured and visualised? 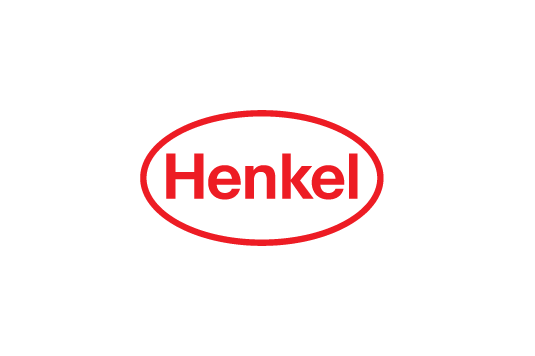 Henkel is a multinational consumer goods producer with three main business divisions: Laundry and Homecare, Adhesives and Technologies, and Cosmetics. As part of their ongoing commitment to innovation in product quality and sustainability, the concept of a Henkel Sustainable Consumption Index was conceived by the Laundry and Homecare Sustainability team to guide sustainable product development. The aim of the index is to provide a tool to measure and compare the sustainability profile and performance at the individual product level over time, respecting both their ‘Footprint’ and the benefits or ‘Value’ they bring. The long term goal is to drive toward a decoupling of progress from resource use. An initial study by the CSCP reviewed trends, industry best practice and relevant approaches, and methodologies. In close cooperation with Henkel Laundry and Homecare Sustainability team the CSCP followed up on this study by developing a tailor made index concept that features a life-cycle framework, calculation, and weighting methods. 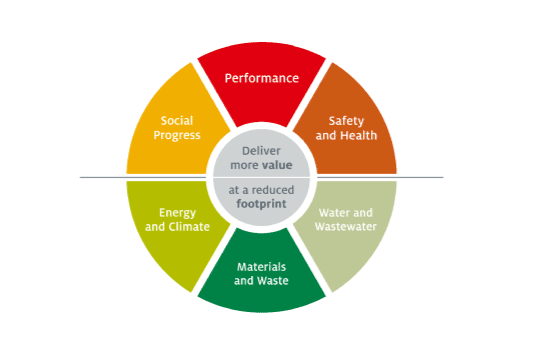 At the heart of the Sustainable Consumption Index is the Henkel Sustainability Master Matrix. The matrix is based on individual product value chain steps and on six sustainability focal areas. The matrix enables users to identify and represent product category level sustainability hotspots and the value offered by the product in a category profile that is based on scientific data and/or stakeholder consultation. This allows holistic evaluation and discussion with different target groups and actors. Establishing indicators to measure hotspots enables a comparison of products within a category and to track progress in product development. As well as measuring and visualising change in individual hotspots, an overall change can be calculated within a Sustainable Consumption Index value (SCI). The SCI is a ratio of the value a product offers divided by the footprint impact. A 50% improvement in value combined with a 50% reduction in the footprint leads to a factor 3 improvement in the product sustainably index. A stakeholder workshop was held at the CSCP in March 2012 with the aim of refining and testing the tool against perspectives of relevant stakeholder groups. In addition to Henkel personnel, retailers, NGOs, sustainability experts, and the industry standards experts, TÜV Rheinland and GS1 Germany attended the event and provided input on issues such as selecting category hotspots and representing progress. The CSCP conducted background research and benchmarking, developed the Sustainable Consumption Index, which included developing calculation methods a conceptual framework for selecting hotspots, weighting, value indicators, stakeholder assessment, and visualisation. We also organised and moderated the stakeholder workshop.